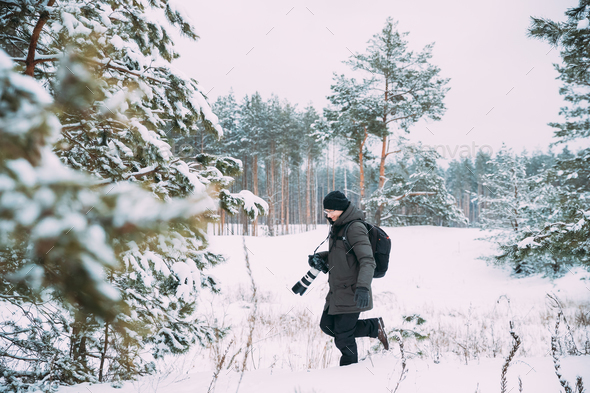 Young Happy Man Backpacker With Photo Camera Taking Photo In Winter Snowy Forest. Active Hobby. Hiker Walking In Snowy Pinewood Forest.